Today is day 3 in my healthy cookie series. Why am I doing a healthy cookie series you ask? My answer is simple. We all want to eat right, but we are all tempted by treats. I believe that if you have healthy scrumptious treats on hand, you are less likely to splurge and go for the unhealthy treats. Especially if the treats are so healthy, that you can have several without any guilt. I like to keep several flavors of healthy cookies on hand. So you will have many more flavors coming your way. 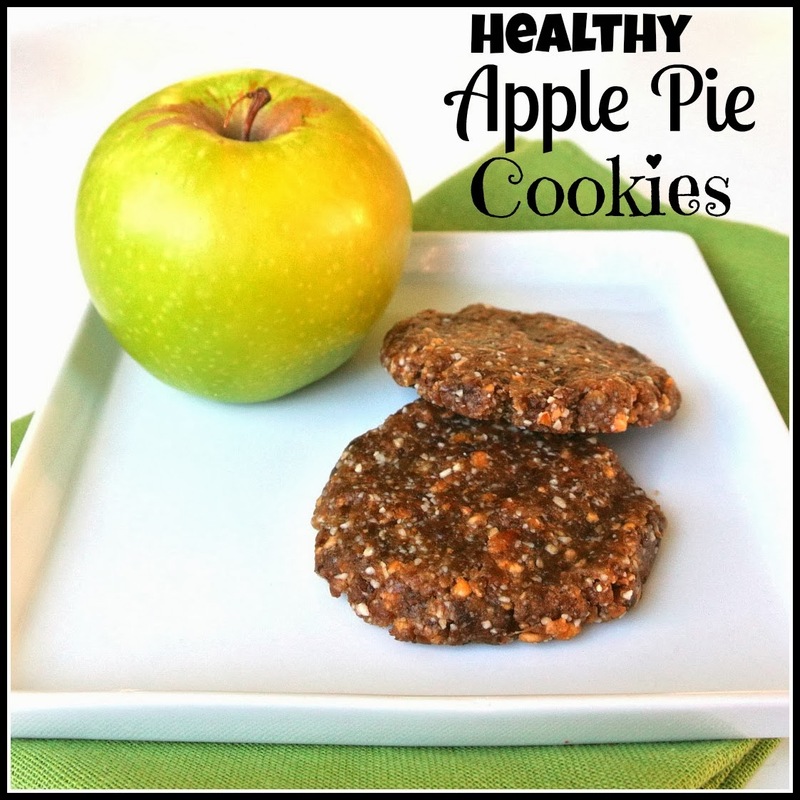 These Apple pie cookies are awesome. Everyone has their favorite, and these are mine. They taste like a homemade apple pie, but without all the bad ingredients. Instead you have a cookie that is wholesome and suitable to serve for breakfast with your morning coffee or tea. In fact, I find that eating two of these cookies with a big mug of green tea, keeps me full and satisfied until lunch. 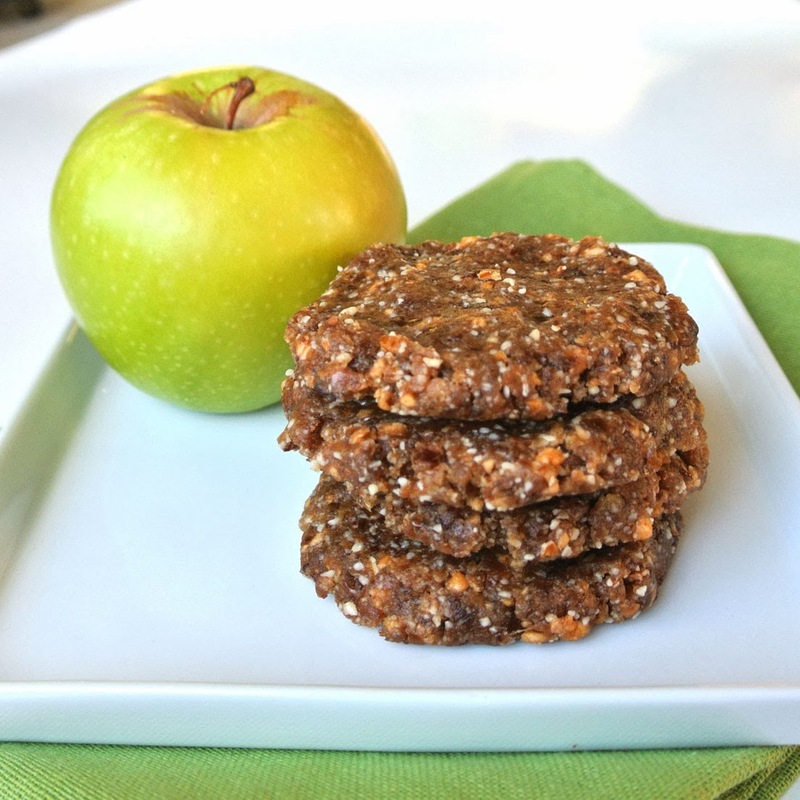 Each cookie has 140 wholesome calories from fruit and nuts, so you can't go wrong here. Don't be afraid to try them! They take 5 minutes to make and you won't be sorry. Soak the dried apples in warm water for 5-10 minutes. Meanwhile, gather remaining ingredients and pour into a food processor. Drain the fruit and add to the food processor. Process for 30 – 60 seconds or until the mixture sticks together when pinched with your fingers. Make a ball out of 2 Tbsp of dough. 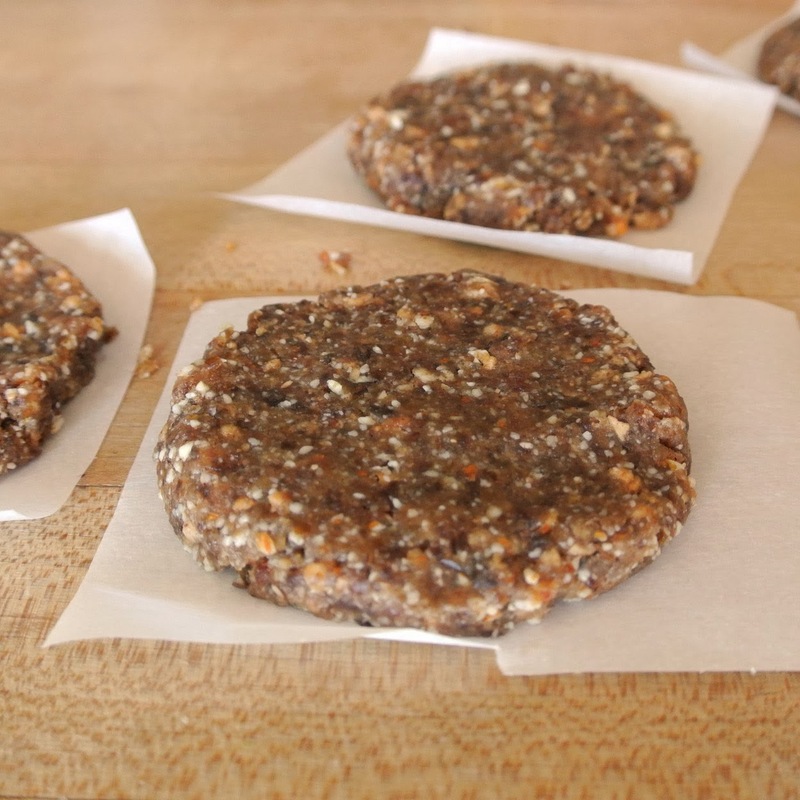 Flatten into a cookie on parchment paper. Store refrigerated for up to two weeks or package them in air-tight containers, freeze, and store for up to six months.